Of course, the option to edit the content sections couldn’t miss from the features list. 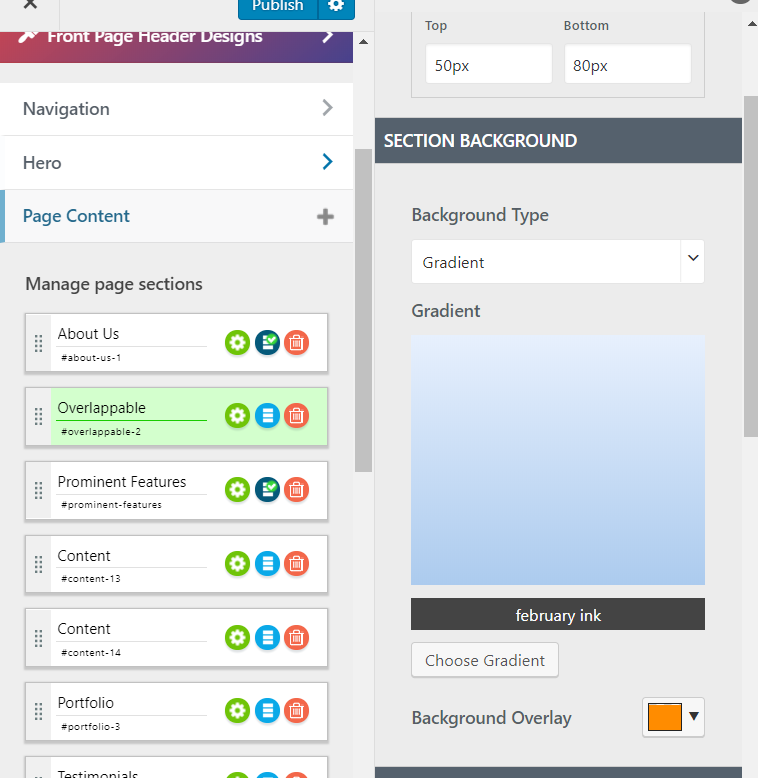 Therefore, we created 2 different sections from which you can edit the content of each section. You can set the dimensions and background, as well as the text options and items options – for the content sections containing lists. It refers to the distance of the content section from the top and to the bottom. The values are expressed in pixels. Test with different values, to see the differences and choose the best dimensions. The overlay is a semi-transparent color that is shown on top of the background to obtain a nice visual effect. Select the color you want for your background overlay. 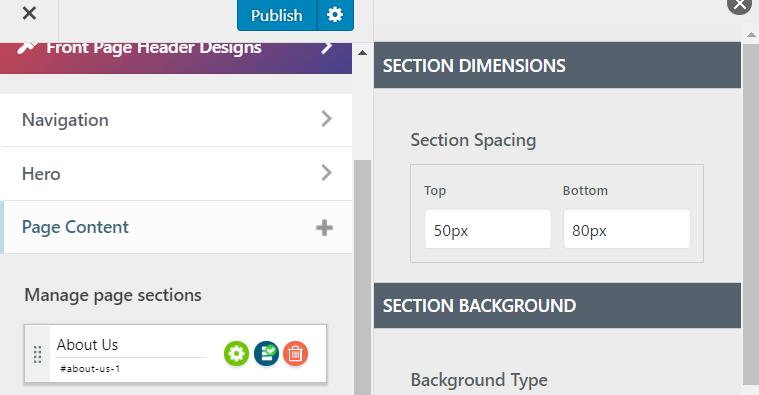 Section separators are some graphic elements that delimit a certain content section from the top and from the bottom. You have the possibility to customize both the top separator and the bottom separator. To start customizing the section separators, first check the checkboxes to display top/bottom separators.